This is exciting news! 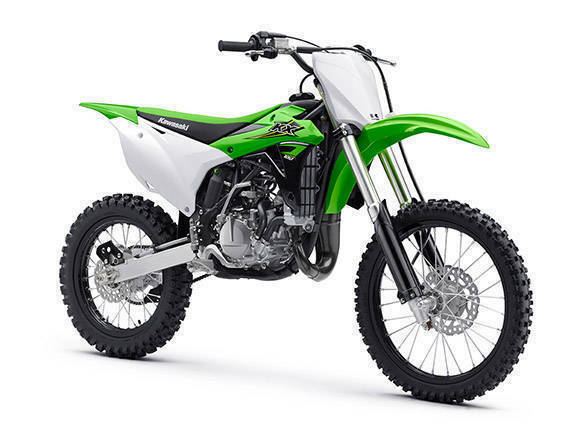 After years and years of waiting, a manufacturer is now offering two new full-fledged, race-ready, off-road motorcycles for you to buy - the KX100 and the KX250F. Both the motorcycles are among the most successful off-road in their respective classes. And the best part is that they are priced at Rs 4.68 lakh and Rs 7.14 lakh respectively (ex-Delhi). Why is that so great ? Well for starters, since these bikes aren't road legal, they don't have to be registered. That means the price you see is what you will pay to get your hands on them. Of course, you'll have to add or subtract some bit of it for shipping and handling depending on where you are. But there will be no pesky registration fees or other taxes. And here is what making us smile even more - both bikes aren't all that more expensive than they are in the US of A. In fact, the 250 is only 26.5 per cent more than the price in the US (the 100 is 50 per cent more expensive, though). 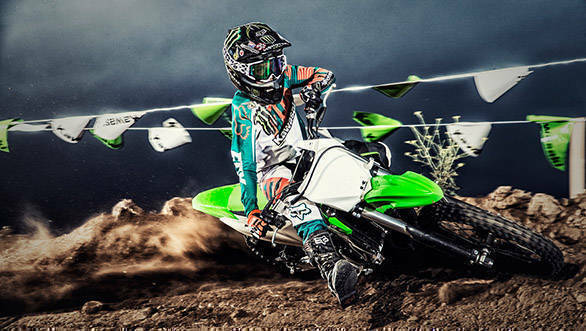 The KX100 is Kawasaki's Supermini motocross bikes and is the bridge between their minimotos and the full-size machines. In that sense, it is larger in dimension than the mini-bikes and is almost a full-size motorcycle. 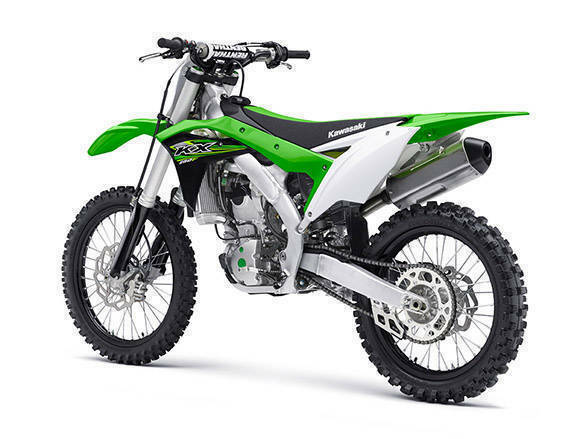 It uses a 99cc, two-stroke motor that is liquid cooled and carburetted with Kawasaki's power valve system, KIPS, that varies the exhaust port open time and ignition timing to offer a wider, more usable power spread. It runs a 36mm inverted fork up front that is adjustable for compression damping and gets 275mm of travel. The rear suspension is a Uni-Trak monoshock system with adjustable preload, compression and rebound offering 275mm of travel. The entire bike weighs just 77kg, so it's perfect for the young 'uns. 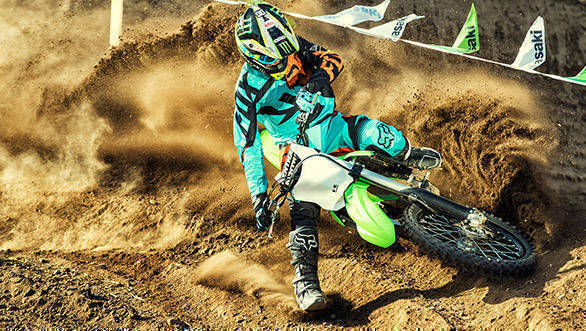 The bigger of the two motorcycles - the KX250F - is the most winningest motorcycle in its class. It's a full-size motocross machine and performs as such too. 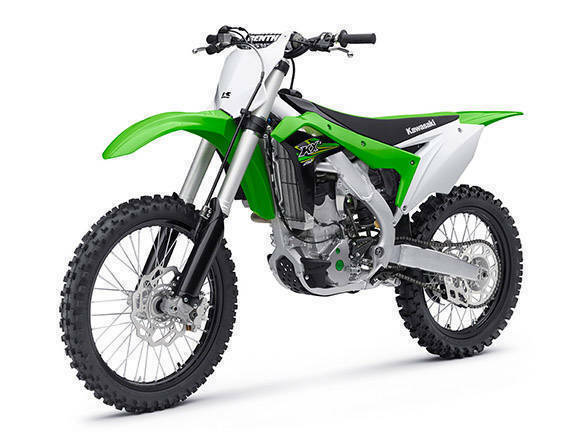 The 250 uses a 249cc liquid-cooled motor that uses dual injectors to bridge the lack of mid-range usability. It also gets a segment-first launch control system that helps you keep your front wheel down for that perfect holeshot. It is built around a aluminium perimeter frame and uses fully adjustable suspension all around. 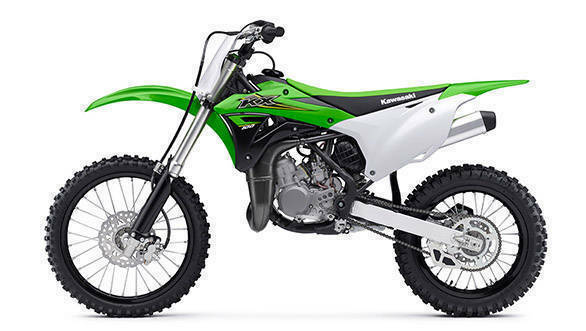 The front uses Showa's SFF fork that is now becoming a benchmark across off-road bikes and can also be seen on the Kawasaki Versys 650 that is sold in India. The rear is a Showa monoshock that is mounted with Kawasaki's Uni-Trak linkage system. Both suspensions offer 310mm of travel, and you also get 330mm of ground clearance. At 107kg, which is in the same ballpark as the other 250s out there. Both the bikes can be bought from the Kawasaki dealer network. As we said before, Rs 4.68 lakh and Rs 7.14 lakh are landed cost, give or take Rs 5,000-10,000 for shipping and handling.